This Goliath Metal Wall Art is plasma cut from stainless steel. 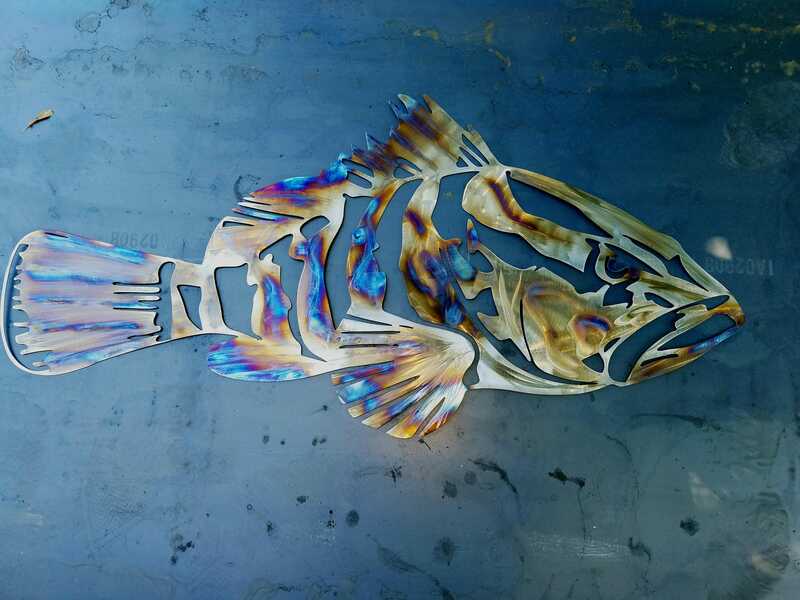 Our stainless metal fish wall art is heat treated by hand to give the blue and gold hues in the metal. No two fish are exactly the same meaning that your grouper will indeed be one of a kind! Given that this is stainless steel, this metal grouper is suitable indoors and as outdoor metal wall art. Size is approx 14" tall and 34" wide (size is approximate). I can custom make another one larger or smaller to suit your space, just ask!